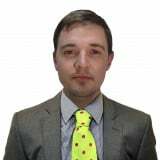 Infront Sports and Media, the exclusive media and marketing partner of the IIHF for the World Championship, announced the company would partner with the event through to 2021. Škoda have been a sponsor of the IIHF's flagship tournament outside of the Winter Olympic Games for 25 years having first signed on in 1992. The 2021 competition was recently awarded to Minsk and Riga, the capital cities of Belarus and Latvia respectively. The decision to select Minsk and Riga as hosts of the event was taken in Cologne during the IIHF Annual Congress, which is running alongside this year's edition of the Championships in both the German city and French capital Paris. The proposed dates for the competition are May 7 to 23, 2021. "Škoda has always been a very reliable partner, providing solutions to the transport challenges that such a large operation as the IIHF Ice Hockey World Championship has," said IIHF President René Fasel. "The Škoda car has become an icon of the tournament, something that you can associate with the event either with the cars on display in the arena or when they are driving around the host city." Skoda's deal was due to expire this year but they have reaffirmed their commitment to the tournament. 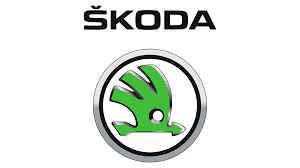 "Ice hockey fits perfectly with Škoda," Škoda chief executive Bernhard Maier said. "Our commitment to this fascinating sport has played a key role in our sponsorship strategy since the beginning of our success story in the 1990s. "The sponsorship engagement has made a significant contribution to strengthening the image and reputation of Škoda internationally. "Škoda will continue its growth in the coming years - especially on the international market. "As such, it is only logical that we sponsor one of the world's most well-known annual sports events for the long term."